MyGel 16 oz. 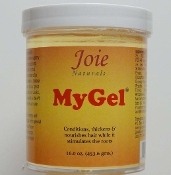 - Joie Naturals, Inc.
Our Products >> Hair Care - MyGel, Oils, Pomades & Tonics >> MyGel 16 oz. the #1 choice of Locktitians all over.